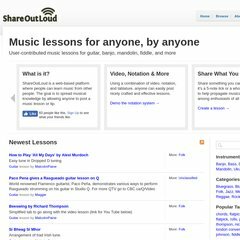 Topics: Shareoutloud, Left, Demo The Notation System →, and Create A Lesson →. Its 2 nameservers are ns1.mediatemple.net, and ns2.mediatemple.net. It is written for PHP/5.3.15 language. PING cf-protected-www..cdn.cloudflare.net (173.245.60.119) 56(84) bytes of data.